Content Marketing World 2015 is in Cleveland this week, and the PR Newswire marketing team has been working double time getting ready for the event. Their excitement about this annual gathering of marketing and PR professionals is what prompted me to dedicate this week’s post to a few bloggers who write about marketing. Roojoom, the company, creates engaging Content Journeys for its clients. Roojoom’s blog shares some content marketing secrets in conversation form with images and GIFs to help tell the story. From How Should I Measure Engagement? Finding Your Best Metric to Your Content Engagement is Begging: Stop Using Stock Images, Roojoom is refreshing in that it explains what you may be doing wrong or right, but also gives examples on how to improve. As a blogger, I especially appreciated How to bring a boring topic to life because I often write about things that I’m not interested in, but I know my audience would like to read. TwelveSkip specializes in everything from website and graphic design to SEO and blog marketing. On the surface, it targets bloggers, but as you dig deep into TwelveSkip’s blog, it covers topics relevant to all PR and marketing professionals. 7 Easy Tweaks to Position Yourself as “THE” Expert shares ways to encourage clients to take action without scaring them as well as tips to build trust for online businesses. TwelveSkip also offers how-tos like scheduling Instagram posts and creating visual content. Weigh Your Mind is written by Jason Houck, who shares his passion for blogging and social media with marketing in mind. I’ve been following Jason on Twitter for sometime now, and he’s as engaging and thoughtful on Twitter as he is in his blog. He also does not just talk about marketing and social media, but shares personal travels, inspiration, and reviews. I found his article on How to Properly Use Hashtags enlightening, but also had a few “right on” moments. 7 Aspects of a Successful Social Media Strategy is worth a read as well as How to Be Successful on Social Media. InterGeek “aims to bring a community of people together that are interested in SEO, blogging, social media, content marketing and more.” Luke Jordan is the brains behind InterGeek and is quite a cheeky writer who does not claim to be an expert, rather just someone who enjoys writing. I’ve really enjoyed reading InterGeek mainly because he writes honestly. He does not sugarcoat why we are searching for the best SEO Checklist or how he is stealing the success of other bloggers. He uses humor to drive home the points of why it was important to pop his Pinterest cherry and why it is a successful marketing tool. I’m not sure if any of these bloggers will be at Content Marketing World, but if you happen to be attending – stop by booth No. 70 and say hello! Tell them Mary sent you. P.S. Ever wonder how we come up with ideas for our blog profiles? Our handy list of industries and subjects on PR Newswire for Journalists stays top of mind. 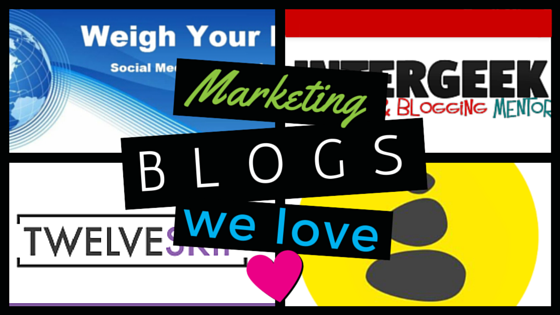 If you’re a blogger or journalist looking for marketing and PR news, let us know. We can customize a newsfeed for you on PR Newswire for Journalists.